In this week’s episode, I chat with Kev Blackburn of Life Success Engineer about goal planning and making 2019 your best year yet. Hello and welcome to episode 54 of my Working With Podcast. A podcast created to answer all your questions about productivity, GTD, time management, self-development and goal planning. My name is Carl Pullein and I am your host for this show. 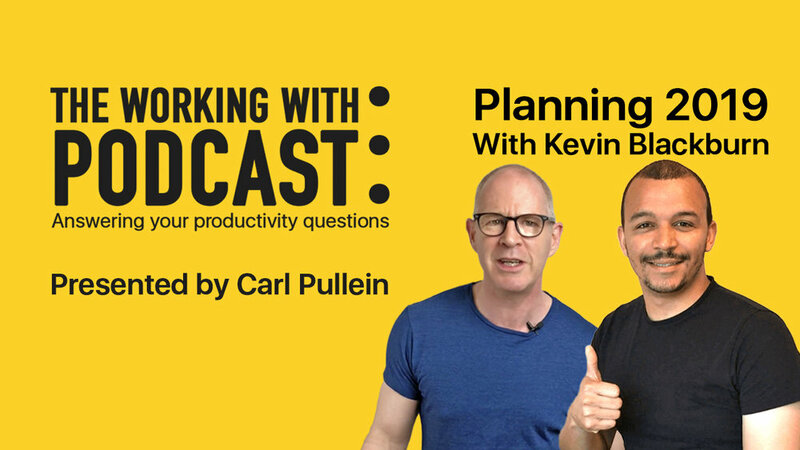 In this first part of a very special goal planning and 2019 episode, Kev Blackburn, THE Life Success Engineer and I discuss how we plan the new year, what tools we use and why this time of the year is one of the most exciting times for us. So, sit back, enjoy, be inspired. Part two of this talk will be posted on Friday so, listening out the that episode.